20th July 2014. Security and Defence, Issue 3, No. 4. The recent declaration of a Caliphate by IS (Islamic State, formally ISIS) could have huge security ramifications throughout the Middle East. In territory captured in both Syria and Iraq by IS, the Islamic State has blurred the borders, leaving the potential for a break-up of an increasingly unstable Iraq an ever growing possibility. The general rise of IS and this recent development has prompted Israel to pledge official support for Kurdish self-determination in an attempt to secure allies in the Middle East. Relations between Kurdish leaders and Israel are far friendlier than Israel maintains with the majority of its other neighbours and Netanyahu’s support is unsurprising. Kurdish gains in Iraq, though not sufficient to declare a state of their own, are significant and combined with the Islamic State already declared, these are perilous times for Iraq. The IS Caliphate was a dramatic declaration, but it has not prompted huge change in the region. Though there are fears that it will attract young extremists, perhaps the romance of an Islamic State will appeal to their sensibilities, the move has also been condemned by jihadists, such as those in Jordan. This only goes to prove the divisive nature of IS, who clearly do not speak for even a majority of the jihadist “community”, let alone all Muslims – though this much should probably go without saying. What, however, it does show, is the confidence of IS and their commitment to their long-term goals. This all becomes more interesting, when you consider it alongside the Kurdish gains also being made in Iraq. Whilst these are not on the same scale as those made by IS and, thus far, the Kurds have refrained from declaring a state of their own, Iraq’s future remains in the balance. 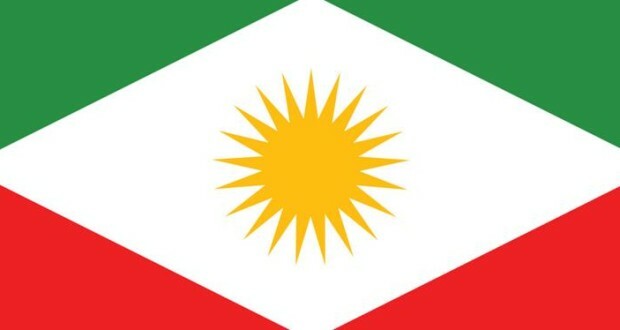 There are huge stumbling blocks to a Kurdish state, the biggest one remains the United States’ opposition to it and their support for Iraq to remain a unified country.­­­­­­­­­ The Turkish position remains unclear, with some news outlets reporting that it remains in opposition and favours a unity government in Baghdad and others suggesting it may be more open to the idea. Given that a Kurdish state is only likely to be economically viable should the new state be able to export oil and gas independently of Baghdad via Turkey, Turkish support will be crucial. At the moment this is all part of the realm of speculation, but it is speculation worth undertaking. The prospect of yet another Islamist state on Israel’s border and in the Middle East is one that Israeli politicians are rightly concerned about and it is a prospect that the US should also consider seriously. The USA has announced plans to fund the “moderate” Syrian rebels against IS and Assad, no doubt hoping that this, alongside support for the Iraqi army, will bring about the defeat of IS and therefore end the existence of the Caliphate. This is, of course, the most preferable solution to the rising instability in Iraq, though it should not necessarily destroy Kurdish aspirations of an independent state. It remains unclear whether congress will agree to Obama’s request but more importantly, there is no guarantee that funding the rebels will be successful. Assad has survived four years of civil war and continues to enjoy support from Russia and Iran, whilst the US cannot rely solely on Syrian rebels to fight both Assad and IS, regardless of increased funding. The prospect of the IS Caliphate remaining in existence for the foreseeable future and acting as a springboard for further IS campaigns – their rise in Jordan has already been documented at the Humanitarian Intervention Centre, is one that we may have to accept. Netanyahu seems to be more pragmatic, perhaps accepting the inevitability of IS’ continued rise for now. It seems that the establishment of the Islamic State and the general rise of IS, causing yet more instability in the region, has prompted Netanyahu to come out in official support of Kurdish aspirations. Whilst support for a Kurdish state need not rest upon whether IS manage to successfully maintain their Islamic State, it makes sense to seek out potential allies in the Middle East given these developments. That is exactly what an independent Kurdistan could be, an ally for Israel and an ally for the United States in a region where allies are not forthcoming. Netanyahu believes that an independent Kurdistan would be the first step in establishing an alliance of more moderate powers in the Middle East. It remains to be seen whether the US will get behind an independent Kurdistan, though it is likely they will stick resolutely to preventing the break up of Iraq any further – too late, so far, with respect to IS. A Kurdish state, however, may be the beginnings of making the best of a bad situation. Levy, R. (2014). ‘Kurdish Independence: The IS Caliphate and the break up of Iraq’ Human Security Centre, Defence and Security, Issue 3, No. 4. Raphael Levy was a research assistant at the HSC. His main interests are the political situation in the Middle East, with a focus on Israel’s security and the peace process. Raphael has previously interned at Stand For Peace, researching extremism on campuses in the UK and the interfaith network’s links to extremism.